Winter holidays conjure cosy images of powdery snow, tree-topped mountains, rosy cheeks and marshmallow-blanketed hot chocolate in an alpine lodge… and a festive pair of crutches? Didn’t think so. But injuries on the slopes are a very real risk of skiing, snowboarding and other winter sports trips. So why do one third of winter sports enthusiasts hit the mountains without first checking that their travel insurance would be valid if they got injured while participating in those activities? According to a new report released by ABTA, the UK association for tour operators and travel agents, roughly 1.75 million Britons will go on a skiing holiday this season – meaning half a million could be travelling without the right cover. Over-55s are the age group most likely to be lax about checking what they’re covered for. Snow sports trips have significantly increased in popularity within this age group in 2017. On the other hand, those between 18 and 24 were the most prepared, with only 14% failing to check their cover. 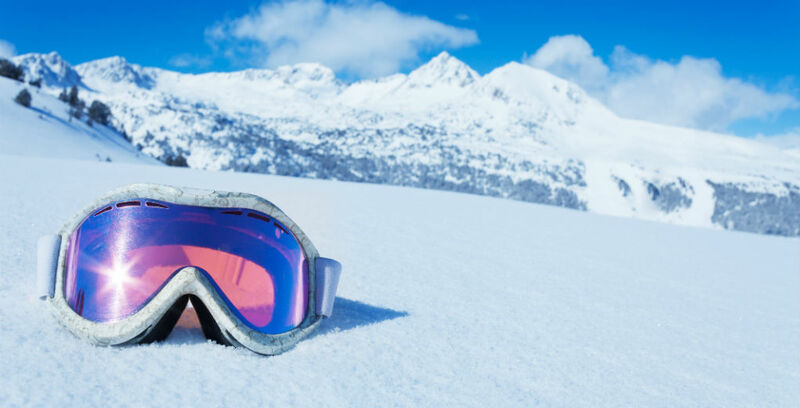 “Many holidaymakers wrongly assume they’re automatically covered for winter sports as part of their travel insurance – but it is often not the case, meaning thousands of people could be heading to the slopes without any cover,” said Nikki White, director of destinations and sustainability at ABTA. Winter sports cover is usually easy to add on to your travel insurance, but rarely comes as standard. So what might you have to fund if you fail to arrange cover? The bill for treatment in a foreign hospital can quickly add up. If you are travelling within Europe, a European Health Insurance Card (EHIC) allows you to receive the same state-provided medical healthcare as a citizen would – but it won’t cover all medical costs, private treatment or return to the UK. If you can’t make your original flight home due to a hospital stay or incapacitating injury, you will have to pay for your own rearranged travel as well as covering further accommodation costs. Between 2012 and 2016, the Foreign and Commonwealth Office (FCO) reported 58 British deaths during skiing and snowboarding holidays. If the worst should happen, correct travel insurance will cover repatriation to the UK. It’s worth consulting an expert when arranging travel insurance, as they will ensure the specific activities you intend to participate in are covered. They will also make you aware of any insurer conditions – for example, you may have to wear a helmet for your cover to be effective. Your cover could also be invalid if you fail to declare an existing medical condition.